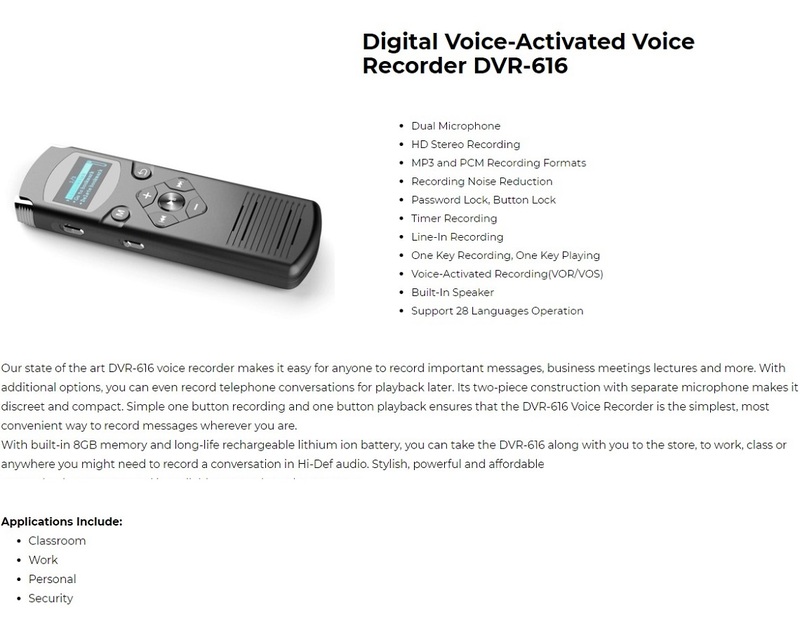 The Hnsat DVR-616 voice recorder makes it easy for anyone to record important messages, business meetings lectures and more. With additional options, you can even record telephone conversations for playback later. Its two-piece construction with separate microphone makes it discreet and compact. Simple one button recording and one button playback ensures that the DVR-616 Voice Recorder is the simplest, most convenient way to record messages wherever you are.With built-in 8GB memory and long-life rechargeable lithium ion battery, you can take the DVR-616 along with you to the store, to work, class or anywhere you might need to record a conversation in Hi-Def audio. Stylish, powerful and affordable.